Leslie Morgan Black was a star athlete at Hartford Public, class of 1973. He starred in football, indoor, and outdoor track. At HPHS he was a star on strong football teams that finished in the top five in the state 1970, 1971, and 1972 compiling a 22-4 record those three seasons. On the track teams he exibited speed and strength. His indoor shot put effort of 54-3 is at present 2nd All-Time. He also ranks in the Top Ten in the shot put, outdoors. He consistently placed in the shot put with tosses of over 50 feet, helping HPHS win several indoor and outdoor CIAC Track Championships. The relay team of Heyward Woodward, Les Black, Daryl King, and Pablo Franco ran the 4X220 yards in a speedy 1:27.5 in 1972 for a state and school record. Les loved coaching his Samanish High School Track team especially the year they won the Washington State championship. He also coached at Redmond High School and Cascade High School. He loved the Northwest, especially the peacefulness of a morning sunrise looking out at Mt. Rainer. Most of all he loved the people of his community that became life long friends. They will miss him. Les worked for over 22 years at the Seattle Times. Les Black passed away November 18, 2009. Don Bolk, class of 1959, was a versatile multi-sport athlete. He competed in football, basketball, and track and field. Many of his teammates are already in the HPHS HOF. George Guliano, Gene Jenkins, Gary Chesky, Ron Copes, and Fred Koury to name a few gridiron mates. And in basketball, Copes, Jenkins, and Stan Poole. The 1958-1959 basketball team had a solid year going 13-8 and advancing to the CIAC quarterfinals. Don's strong rebounding was key to that successful season. Gene Jenkins noted after a game "you can't score unless you have the ball and Don gave us the ball, and we scored". Don scored many points off offensive rebounds. The tournament loss was to rival Wilbur Cross. The track team was strong going 8-1, losing only to New Britain. Don scored 35 points in track that year. He was the teams best shot putter and fifth leading scorer on that team. The 1958 football team went 7-1, losing to New Britain then beating Weaver in the Thanksgiving Day finale. The team won the City title and shared the CDC crown with New Britain. To summarize the football team was Top Five in the state, basketball made the state quarters, and track finished third in the state in CIAC track. He toiled for Hall of Fame coaches Ralph Worth, Joe Kubachka, and Larry Amann. Don attended Arnold College, which is now Bridgeport University. Mr Bolk, as many of us knew him in high school, retired from HPHS after spending 30 years in the Hartford system teaching physical education, and 28 years coaching. Many of those years were working with Hall of Fame Coach Joe Cirone. William James Boyington, class of 1952, was a member of the track and cross country teams under legendary coach Larry Amann. He was a dynamic competitor with a powerful finishing kick that he would deploy at the end of his races. In 1951 we won the outdoor CIAC 880 yard run and in the fall the CIAC Cross Country Championship. He also helped HPHS win the Greater Hartford Cross Country championships in 1950 and 1951 by winning the individual championships those years. His victories in the Greater Hartford Track meet at 880 yards in 1951 and 1952 were record breaking performances, helping HPHS garner the Greater Hartford team championships in both those years. In 1951 he won the prestigious Connecticut university Cross Country Invitation in one of his best performances ever. After graduation Jim would visit Coach Amann and credited him with being a very positive influence and effect in his life. They would frequently lunch together. He enlisted in the U.S. Air Force in 1953 and became an Aviation Cadet, graduating in 1955 as a Second Lieutenant. He married a beautiful California girl, Bobbie, and they had three boys, born in 1957, 1958, and 1960. Bobbie passed in 2009. In his military career he was stationed in the Phillipines, Nevada, Hawii, Idaho, Vietnam, Korea, and later in Windsor Locks for Nuclear Power Training. His wing commander was the famous Chuck Yeager. On two occasions he got the day off when newsman took his seat on the B-57, once it was Walter Cronkite. He flew 244 missions and crewed with his Squadron Commander Dan Farr. They flew 150 missions together. He was awarded the Distinguished Flying Cross and the Air Medal with 11 Oak Leaf Clusters, each representing an additional Air Medal. He has been awarded two Commendation Medals for meritorious service and a dozen lesser medals and campaign ribbons. He became a commander of Field unit of 550 men. Bill retired from service in 1973. Bill then worked with Morrison, Knudsen and General Electric for Navy Nuclear Power, Electric Boat with Nuclear Subs, Trident Submarine, and Union Carbine, Chemical Processing Plants. Bill retired in 1995. Robert George, class of 1955, was one of the real greats in Hartford Public High School's rich football history. He lettered in football all four years. In football he made All-State in 1954. Also elected that year was Nick Pietrosante from Notre Dame high who eventually played for the Detroit Lions and was an All-Pro fullback. As a freshman he played a key role on the 1951 State Champion team that went 7-1. His last teo years he made All-District on both offense and defense. During the Thanksgiving Day Game against Weaver Robert used his speed to race down the field on a kickoff after a Hartford Public touchdown. Just as the Weaver player was about to catch the ball Robert tackled him and the ball bounced into the end zone and Bob jumped on the ball for an Owl touchdown. The Weaver side was shocked. He captain of the team his senior year. Recieved the Clarence Horace Wickham Award as the best athlete of the class of 1957 exemplifying good sportsmanship and achievement in athletics. He was also president of the monogram club. Other honors included president of the student council, president of the Junior City Council, Boys State Delegate, and winner of the Clement C. Hyde book prize. After graduation, Robert entered St. Benedicts College and lettered in football there. He served in the U.S. Army and has had a long career as an attorney. He has four children and 12 grand children. His favorite hobby is sailboat racing and off shore sailing, and he owns a Coast Guard Master Captains license 100 ten. Elizabeth Gunn (Betty O'Connor) was born and raised in Worcester, MA where she swam for the Worcester Aqua Maids and participated in the National Swimming Championships and the U.S. Olympic Trials. She swam against eventual double Olympic Gold Medal winner Santa Clara and UCLA's Donna De Verona. Betty came to HPHS in 1969 and started a competitive Girls Swimming and Diving team. In 1974, after directing and organizing the first few state meets, the CIAC recognized Betty as the "Mother of Competitive Swimming" for High School girls. She also initiated a coeducational synchronized swim team and coached the sport until 1992. Throughout Betty's coaching career and teaching career she coached a variery of sports including swimming, diving, synchronized swimming, gymnastics, basketball, tennis, and volleyball. In 1998 her volleyball team was awarded the first Sportmanship award from the State Volleyball officials. 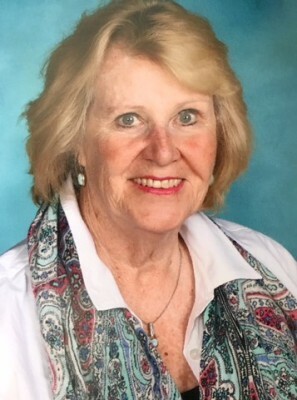 At HPHS Betty served as teacher, coach, school counselor, Aquatic Director, Head of Health and Physical Education for 17 years and she has just recently retired as assistant principal. One of her awards, in 1985, from the Connecticut teachers was for developing an outstanding Secondary Adaptive Physical Education Program. Currently Betty is busier than ever as a tutor at Hartford Middle Magnet, as a Connecticut State diving official, pool director for a private swim club and tennis club, while somehow finding time to be a property manager. Betty likes to travel and take cruises. She considers her teaching and coaching career a privilege and an honor. She is proudest when with her husband Tom, and her two daughters Helen and Eileen. Jack LaPlante was an educator for the Hartford Public Schools for over 40 years. He taught at Barnard Brown, West Middle, Quirk Middle, and Hartford Public High School. At HPHS Jack coached football from 1986 to 2003. He turned around a struggling program that had gone 14-76-6 and had a 63-37-3 run, an amazing turnaround bringing HPHS back as a football power. His 1994 team won the LL championship defeating Southington 22-7 in the final, the first city team to win under the new CIAC format. In 1994 Jack was voted the Northern Connecticut Coach of the year. He was a repeat winner of the Herb Ferris Award for Good Sportsmanship awarded by the CCAF Football officials. He was also awarded the "Renaissance Award" by the downtown council for his promotion of the City of Hartford. His football teams were 98-84- 4 winning six city titles, 4 CCC east titles, and the 1994 LL crown. Jack also coached indoor and outdoor track for boys and girls for 15 years winning 8 more city titles. He coached over a dozen All-State athletes and many became All-Americans. Jack also was a great athlete. The Hartford Courant selected him to be one of EHHS greatest athletes of the 20th century. He played football, basketball, and baseball at EHHS and was captain of the football and basketball teams. At Eastern Connecticut State he played soccer, basketball, and baseball. At Bridgeport University he played football and basketball. He was MVP at Eastern in 1963 batting 365. Jack's 98 wins place him second in all time football wins at HPHS behind Johnny Newell's 116. Chet Lesinski, class of 1957, was a star football player, educator, and coach at Hartford Public. He is part of that rare fabric that makes up Hartford Public High School's remarkable and extraordinary athletic history. He played football under Hall of Fame coach Ralph Worth. Coach Worth, recognizing his spirited play and leadership for the Owls football team, designated Chet team captain in 1956. While at CCSU, Chet coached football under Coach Worth. He was head baseball coach at HPHS from 1968-1970. From 1963-1968 he was head tennis coach and assistant football coach under Joe Cirone. Coaches Worth and Cirone would often seek Chet's advice concerning various defensive strategies for to employ for difficult opponents. Chet taught biology from 1963-1978 at HPHS. He was district Chairperson of Science from 1979 to 1991. He was Vice Principal at Bulkeley from 1991 to 1994. As an avid sportsman he was the faculty advisor at HPHS for the Hiking and Backpacking Club. Chet is a lecturer and instructor at various churches, clubs, and civic groups concerning mountaineering, hiking, and natural history. He has led groups to the White Mountains and Appalachian Mountain to study and photograph rare alpine plants. Chet also holds a U.S. Coast Guard Masters License. From 1935 to 1949 the Hartford Public High School swim teams won fifteen consecutive CIAC State Championships, under legendary coach Larry C. Amann. They were led by a special band of athletes many of which were from Hartford's "Frog Hollow" neighborhood. They were extemely hard workers and intelligent. Some of the names we already know because they have been inducted into the Hartford Public Athletic Hall of Fame. Names such as Dave Tyler, Leo Bedrick, Paul Girdes, Norm Campbell, Sam Cirullo, Dr Ed Conway, John Bonee, and Roland Breaux come to mind. There is another name to add to the list, Arthur R. Lundeburg, class of 1945. In 1944 HPHS won every swimming event in the 18th CIAC State Championship at Yale's pool. Diving was the event HPHS did not capture. Arthur was a double gold winner that day, winning the 50 yard freestyle and anchored the winning 200 yard freestyle relay team. He also played football his senior year. Arthur joined the Navy in 1945 and was elected Honor Man of his company. The Navy sent him to Ohio State University to train to become an officer. At OSU he was on the swimming and wrestling teams. After WWII he decided to pursue a business and engineering career so he transferred to UCLA. Over the years Arthur started three companies which are still operating today. Among the products he developed was a high speed nail feeder that is used in factories world wide in the assembly of nails for nail guns. Arthur is a member of the HPHS Class of 1945 Reunion Committee. He is still active in one of his companies. He is thankful to the teachers at HPHS, to his principal Thomas Quirk, and especially to his swimming coach Larry Amann, for having such a positive impact on his life. Ralph Luther, class of 1952, was All-State in both football and track and field. He was a versatile athlete with great strength, flexibility, and speed. In track Ralph was the school's record holder in the pole vault and won the CIAC pole vault championship in 1951 and 1952. He won the Greater Hartford Track Championship in the pole vault three years running, 1950 through 1952. He also medaled in the New England Interscohlastic track meet championship in the pole vault event. It is a well known fact that the pole vault is the most difficult discipline in track and field. Many Olympic decathletes were originally pole vaulters. Ralp also ran the three relays, 4x100, 4x220, and 4x440. In football he was All-State. He was on a team that featured other Hall of Famers, Mike Abbruzzese and Stan Malis. Ralph was a running back on offense and played defense on the right side of the line. He helped the team coached by Bill Loika to the CIAC State Championship in 1951, with a 7-1 record. Ralph recieved the Lewis Fox award, and after graduation entered the U.S. Military Academy at West Point. He recieved a Bachelor of Science degree from there in 1957. He recieved a Masters Degree in Engineering from Purdue in 1962. Ralph had thirty years of military assignments from 1957 to 1987. He coordinated solutions to technical problems for nuclear power reactors in Alaska and Ft. Belvoir, VA. He also presented a proposal to the Nuclear Regulatory Agency for annealing of the reactor vessel to Alaska. He was the District Engineering Commander for all U.S. forces in Japan and Okinawa. He was the Post Engineer for Ft. Bragg and Meade. He spent 15 years with the Anne Arundel County Public Schools as Director responsible for school construction programs. He is a registered engineer for the state of Virgina. Ralph is married with three grown children, four grandchildren and one great grandchild. Fred Roback, class of 1945, was a classic three sport letterman, playing football, basketball, and baseball. He was one of only three three sport letterman in the class. The other two were Ed McTeague and HPHS Hall of Famer James R. Griffin. His most defining and brilliant moment, the epitome of brilliant shooting, occurred at the HPHS Hopkins Street gymnasium. In a game against highly touted New Britain that took many twists and turns. But in the end it was Fred Roback's sharp shooting, accounting for 27 points that made the difference and an Owl victory over the Hurricanes. Hartford Courant writer Owen Griffith described Fred Roback's performance as "spectacular and the highlight of the victory for Coach Johnny Newell's Owls". Fred was awarded the Clarence Horace Wickham award for his sportsmanship and athletic achievement, HPHS class of 1945. After serving in the US Army Fred enrolled at Fairfield University. He is credited with being one of the founders of the Fairfield University Basketball Program. He was issued a "Founders" citation from the Fairfield University Alumni Association on November 2nd, 2001. He is also a member of the Fairfield University Hall of Fame. He has been honored by many groups and organizations for his civic work, the City of Hartford, the Hartford Police, the US Military, and Fairfield University to mention a few. Fred is retired as an officer of the Southern New England Telephone Company. Jody Weatherwax, class of 1976, is one of the great long distance runners in HPHS history starring in cross country, indoor, and outdoor track. At HPHS, Jody won four CIAC mile championships and his outdoor mile record of 4:12.6, set in 1974, remains a record today. He was ranked among the best high school milers in the country earning Honorable Mention All-American in 1976. He was All-State in cross country. He helped HPHS win 9 CIAC State Championships from 1973 through 1976 in both indoor and outdoor track. He also won numerous CDC Conference, Greater Hartford, and City Championships in both track and cross country competitions those years. He was awarded the Clarence Horace Wickham medal for his achievements in athletics signifying the best athlete class of 1976. Jody, attended Virginia Military Institute, graduating 1980. At VMI he earned a BA in history and earned a MA at Webster University. At VMI Jody set records in both the mile and 1500 meters. His 4:04 mile survived 29 years. In the Virginia Intercollegiates and Southern Conference championships he won a total of 23 individual awards. He was voted the outstanding performer of the Southern Conference Indoor meet in 1980. Jody Weatherwax is a career army officer, armored cavalry, and major retired. He served many years in Germany under HPHS Hall of Famer CO Ron Copes. He is married to Maria Reidl of Schwabach, Germany for over 30 years. Their son, Christopher, is currently serving in the army, 75th Ranger Regiment. Jody currently works as a senior analyst for the US government in Warren, Michigan. Anthony Ward, class of 1929A, was a great athlete. He played football, basketball, and baseball with gusto and zest that amazed his coaches. In football, his 70 yard run against Bridgeport and sweeping runs in New London marked Anthony Ward as one of HPHS's great running backs ever. He was a member of the athletic association and the Owlet staff for four years. It was noted by his 1929 classmates that "Wardie applied his football agressiveness and fairness to school life and is one of the best liked fellows in the class and voted best in sport, which undoubtedly he deserves.". The 1927 and 1928 teams were strong, combining for an 11-2-1 record and the 1927 team at 6-0-1 Claimed the Unofficial State Championship. They also beat rivals Weaver and Bulkeley for the City Crowns in 1927 and 1928. Because of this success Anthony was awarded a scholarship to Kingswood. The 1929 Kingswood team went undefeated. Recieved the Clarence Horace Wickham Award as the best athlete of the class of 1929 exemplifying good sportsmanship and achievement in athletics. Anthony Ward attended Trinity College and lettered in football, basketball, and baseball. In 1933 he moved to Long Island, after marrying Doris Lawler, who lived at 3 Forest Street. He worked for Travelers for the next ten years while earning a Bachelors and Masters of Law Degree from NYU. He returned to Hartford in 1943, joining the Moylan Law Firm, earning 200 per week. He moved to Windsor Locks in 1946 where he lived for the next 36 years. He held the position of town counselor of Windsor Locks, while practicing law privately, and served on the executuve boards of three local banks. Anthony Ward retired in the early 1990's and passed away May 22, 2002.